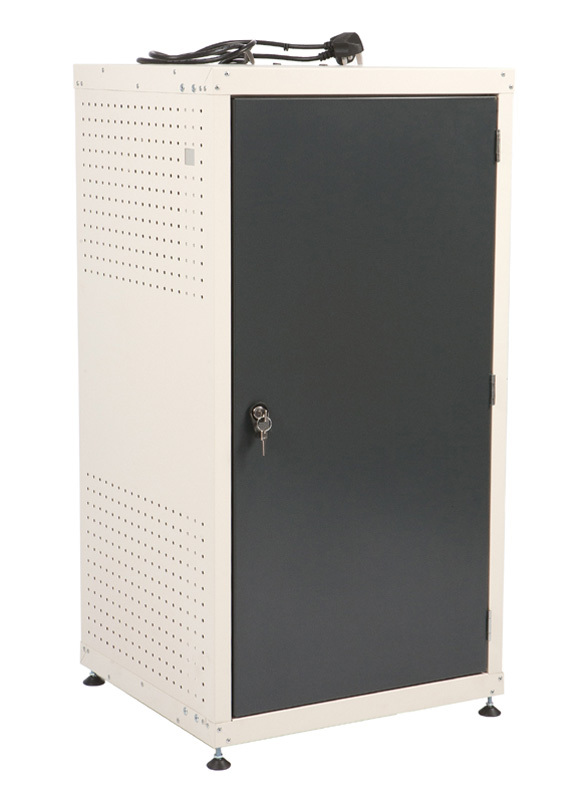 Schools, Universities and Colleges can all benefit from having one or more of these laptop charging lockers. 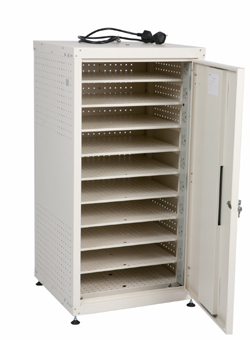 The unit is capable of storing and charging up to 10 laptop computers thanks to a high quality, internal power distribution unit that creates 10 standard UK electrical sockets (1 per level). ICT departments will be able to ensure that the laptops remain secure when not in use and fully charged for the next lesson. Each School has different requirements, some will use only one brand of laptop whilst others will use a combination of brands together with smaller netbooks and tablets. Whichever arrangement of devices you need to store, this laptop cabinet is universal and able to charge anything that has a lead with a standard UK 3 pin plug. 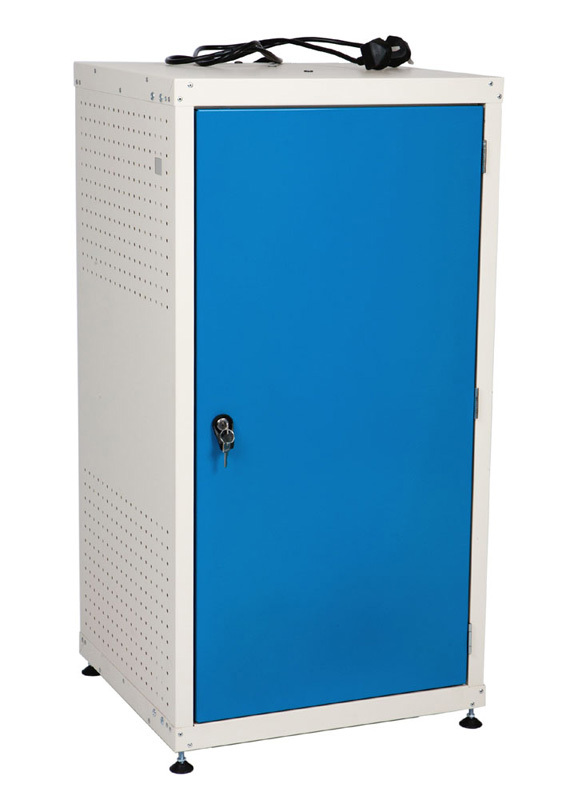 A straight forward plug and charge system without any timers or power saving modes make this a popular laptop charging locker. 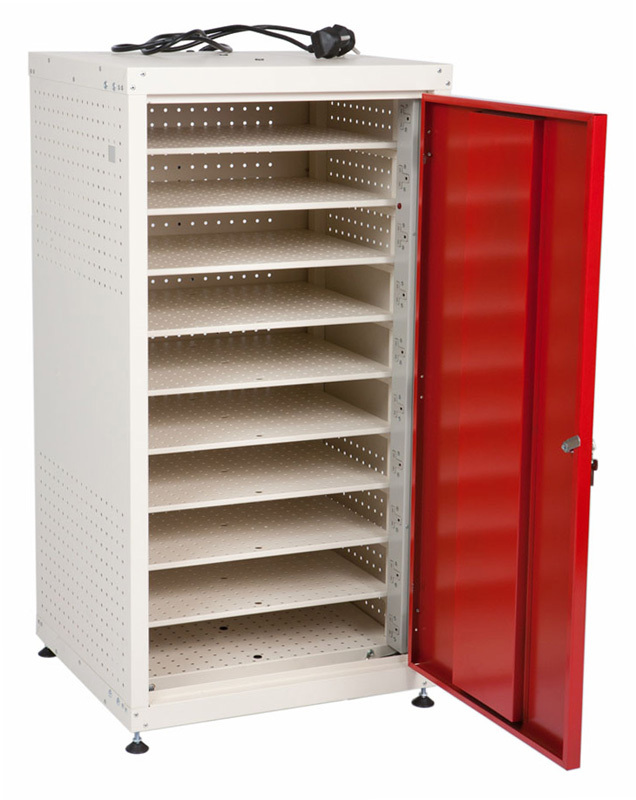 Many schools prefer this model to some of the more advanced units because of its simplicity of design. 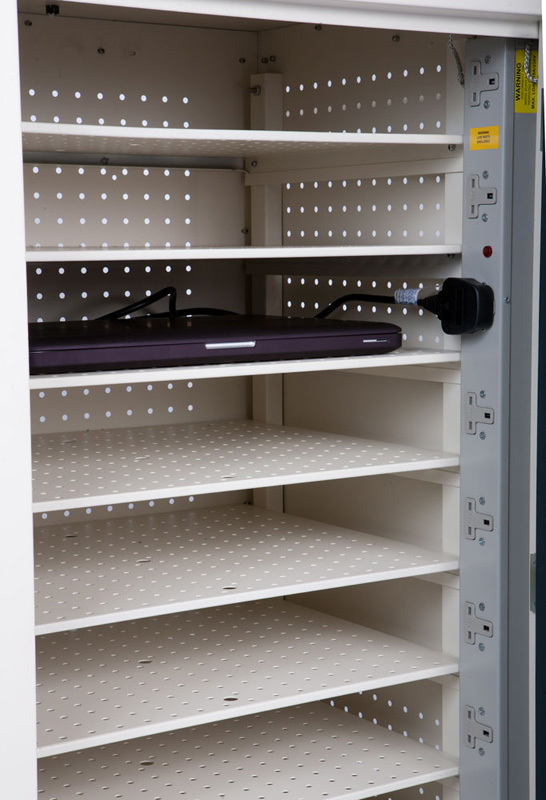 Note: The unit is designed to accept laptops with a screen size of up to 17" but to be sure of fitment please compare your laptop dimensions with our compartment size specified below - remember to allow space for the power adaptor and leads.